Close to the check-in desks at WWDC 2013, we overheard a commotion. As delegates queued to pick up their show passes, one tall, dark-haired and rather scruffy-looking man was getting angry. Event staff checked and checked again for a pass that wasn't there, the man growing more and more agitated, his voice rising as his cheeks coloured. And while you couldn't make out his words from across the lobby, the body language was clear enough. He was still arguing as two burly security guards escorted him past the escalators and towards the front door, shouting over and over that somebody had made a big mistake. "Who was that guy?" someone just behind us asked. We knew the answer to that one. That guy was John Appleseed. If John Appleseed's name doesn't ring a bell, let us do some jangling for you. He's the face you saw demoing the original iPhone, and in demos of subsequent iPhones, too. His face beamed out from the dashboard when Tim Cook showed off iOS in the car, and it's his name you often see when Apple demos new software. Appleseed's connection with Apple goes back to the start of the 1980s. Apple then was a very different company than it is today: it became a public company in 1980 but wasn't a buttoned-up, blue-suited corporation like IBM; it was a blue-jeaned, open-necked shirt, bearded kind of company out to make a difference. Apple was Steve Jobs' and Steve Wozniak's baby, but the firm's CEO back then was Mike Markkula, who Jobs had lured out of retirement with the promise of Apple's potential. Markkula wasn't just a successful investor - he was a multi-millionaire by 32 - but a coder too, and he created some Apple II software under a pseudonym: John Appleseed. That didn't go down well with the real, Cupertino-based John Appleseed, who had already created Apple II software under his own name. It wasn't very good software, but Appleseed didn't realise that. As far as he was concerned, someone at Apple was trying to pass themselves off as him. Today he'd probably have hired a lawyer and filed suit against Apple, but back then there was a much easier way: confront Steve Jobs. Appleseed's plan, if you can call it that, was simple: head over to Apple HQ in Bandley Drive and demand a meeting. But he hadn't reckoned on Sherry Livingston, Jobs' right hand. Despite Appleseed's best efforts, the door to Jobs' office remained shut. If Appleseed's first plan was ropey, plan B was even worse. He waited outside on the street for Jobs to emerge, apparently unaware that when Jobs left work, he did so on his beloved '66 BMW motorbike. But Appleseed was lucky that day, because Jobs fancied a walk. Not only that, he was in a good mood: he didn't tell Appleseed to get lost, and when Appleseed suggested that Apple could restore its karma by giving him a job, Jobs didn't go ballistic. He just laughed. "Let's walk," Jobs said. It was to become the beginning of an unusual friendship. 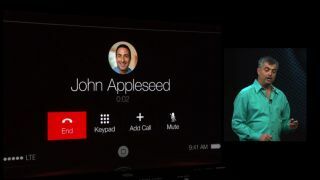 John Appleseed didn't get a job, but Jobs got his phone number - and every few months he'd call to arrange a meet-up. "It wasn't a regular thing," a source close to Appleseed told us. "They weren't, like, beer buddies or anything like that. It was more… Johnny was like a sounding board for Steve, someone who wasn't connected to Apple he could talk to and trust." It wasn't an equal relationship, though. "I don't think Steve particularly wanted to hear what John thought. I think Steve just wanted someone to listen to him."